The all new Men’s Recovery Training for Men Serving Other Men is now available! 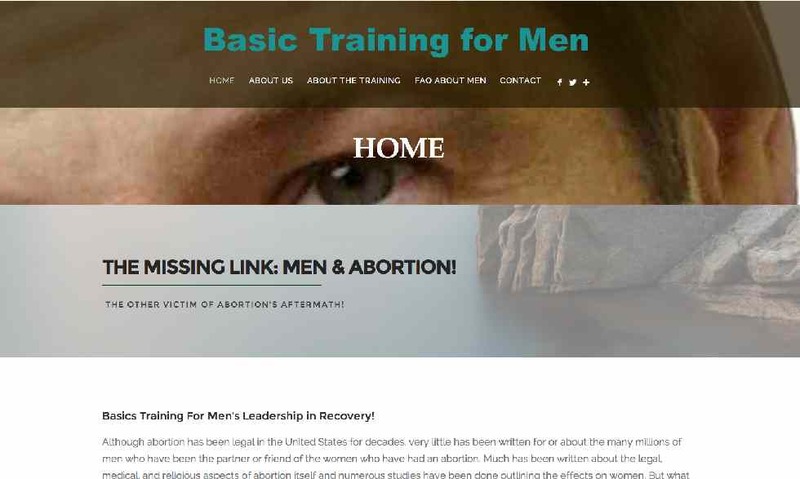 The Men’s Recovery training is called the “BASICS TRAINING FOR EFFECTIVE RECOVERY LEADERSHIP FOR MEN.” It is written from the foundation of the original Basics of Effective Recovery Leadership which has for years been used to train women helping other women. However, it was rewritten specifically for men by Ken Freeman, author of Free Me to Live. Having worked with men intensely over the years including hosting the Men’s think-tank meeting where authors of men’s materials got together to focus on what men needed. It was out of that meeting, that models of recovery came from Conquerors, Warren Williams, Wayne Brauning and others. This recovery training is based on a man’s calling and gifting and preparation for small group and one-to-one encounters with men. The course is deep and thorough. It is filled with content specific to men. By law, fathers are excluded from participating in the abortion decision thanks to Roe-v-Wade. Prior to a woman aborting their child, typically there are six factors of male involvement. Did you know that men ages 15-24 are responsible for a combined 650,000 abortions and 1.5M fatherless children year after year. Men pressure women in various ways through the disbelief of which they simply believe don’t have what it takes to be a man, let alone a Father. Help us come against this lie by equipping each Man God brings to your center with the hope he needs to be successful. Inspire men with the Godly affirmation their heart truly longs for. As a result,we will see men change. Just as we have seen women change in after abortion recovery to go own to lead others into hope, by serving men in recovery, we will watch men, too, lead other men into recovery. This change starts by you preparing and learning how to help men. That is the purpose of this course.